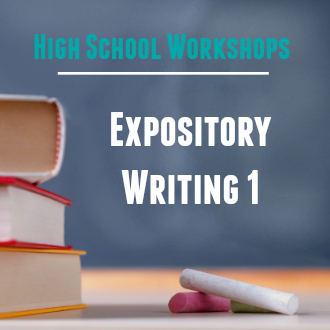 This eight-week class introduces high school students to exposition – writing that explains or defines. The ability to communicate practical information with clarity and conciseness is an invaluable skill. The lesson content of this course will discuss issues like voice, audience, purpose, and writing with nouns and verbs . In addition to a diagnostic assignment, students will write two expository papers in three drafts each under the guidance and instruction of their personal writing coach. Note: The assignments and lesson content of this course significantly overlap High School Composition 1. We therefore do not recommend this course for students who have completed H.S. Composition 1.
understand and apply concepts like voice, audience, and purpose to their writing.